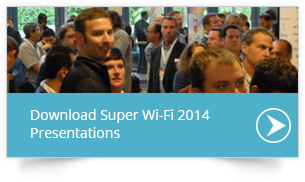 This conference is about providing you with the knowledge you need to use Super Wi-Fi to satisfy spectrum requirements for new products and revenue opportunities; without the need for carrier network build outs. 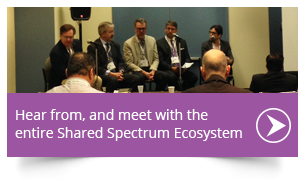 That’s a strong proposition – but it is possible with Super Wi-Fi and other advances in spectrum sharing solutions. 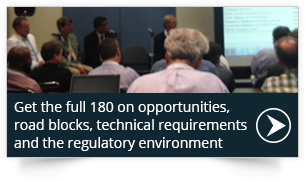 Get the full 180 on the opportunities, road blocks, technical requirements and the regulatory environment that will envelop this opportunity now and in the future. The investment opportunities for anyone to use spectrum in the future. "I am pleased to be a part of this event that highlights the role of wireless broadband in our nation's communications network.Â Wi-Fi is a growing part of the solution for meeting the explosive demands for wireless broadband data.Â Delivering that broadband is critical to our nation's economic growth and productivity, the benefits of which extend beyond the wireless world to empower small business growth, and innovation in manufacturing, health care, education and most leading sectors of our economy."